Wealthy Canadian scholar Harvey Gotham lives in splendid isolation in France and is working on a book about Job. He loves his wife, Effie, dearly but she has taken to planting bombs in supermarkets and has joined an anarchist group. 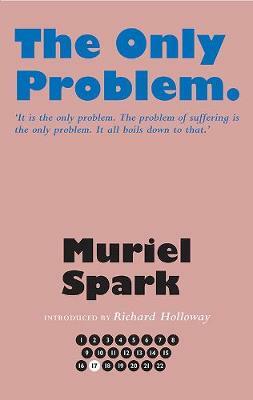 Here, Spark returns to the Book of Job, which had always fascinated her, and `the only problem' - the problem of suffering. Why does God allow it? A despairing and exhilarating read, The Only Problem is a masterwork.